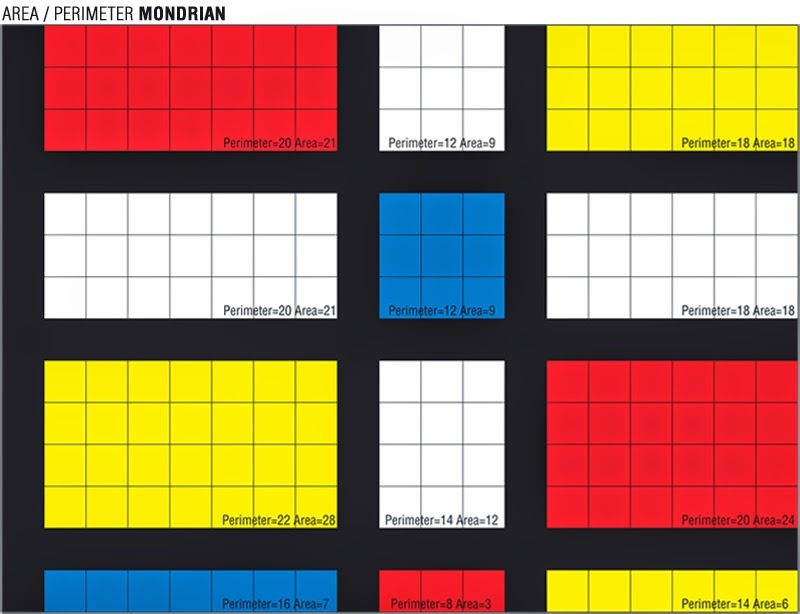 Combine art and math in this area / perimeter lesson: Piet Mondrian style. Have kids lay out their artwork on grid paper. Next, have them figure out the area and perimeter of each "block," using their black grid lines as their guide. Then, have them recreate their design using construction paper. AREA - The measurement of space inside a flat shape is called area. Count the squares inside each of the rectangles you've drawn (multiply height times width). PERIMETER - Count distance along each of the four sides of your blocks and add them up. Hi Erin - I'm looking through your backlist of maths posts and loving the great way you present things! We've just done something like this Mondrian maths - starting from this on the great mathpickle site: http://mathpickle.com/project/mondrian-art-puzzles/ - this turns it into a lovely investigation.